Several reports have pointed toward two types of bugs, one of which is deleting users’ chat while the other is letting unknown people read someone else’s texts. A bug has been found which is deleting users’ chat history. WhatsApp says it is working on a fix. Another bug is reportedly letting other people read your texts. With more than 1.5 billion daily active users, WhatsApp has become one of the most dependable apps when it comes to connecting with friends and relatives. The app has had it ups and downs and now it has reportedly been hit by bugs that are threatening users’ privacy. While one bug is reportedly deleting users’ chat history, other is said to be letting unknown people read someone else’s texts. Media platforms are reporting that a bug has been spotted in the instant messaging app which is deleting users messages without any input from the users. Some of those who have been affected by the bug have taken to Twitter to announce their displeasure towards the behaviour. 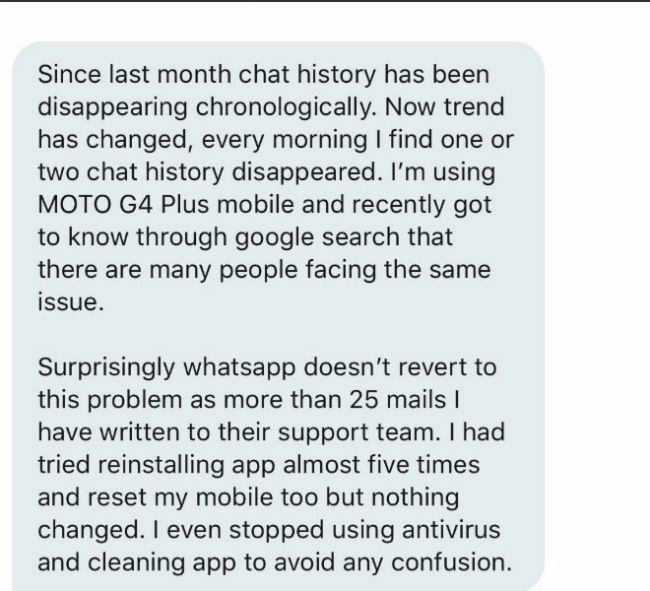 According to a Twitter user, his/her chat history “has been disappearing chronologically”. The user says that he/she found one or two chat history disappear every morning. 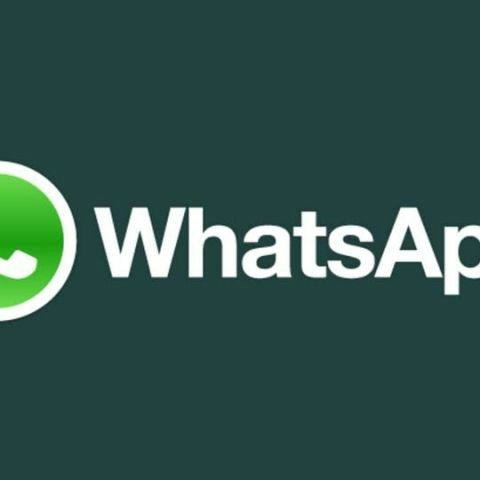 The messages were posted by WAbetainfo, a platform that tests WhatsApp beta features. Though the user says that WhatsApp has not responded to him/her even after he/she has sent "more than 25 mails to the support team', WhatsApp has reportedly issued a statement. “We are aware of this bug and are working on a fix for the users who have encountered this issue,” The Hindustan Times cited a WhatsApp spokesperson as saying. In a separate report, it is claimed that there is a bug which is compromising the users’ privacy. As per a string of tweets posted by one Abby Fuller, there is a WhatsApp bug which has enabled her to read someone’s else’s text in her “new phone”. Fuller, an Amazon employee who works at the company's Amazon Web Services division, says that when she logged into WhatsApp with a new phone number, the message history from the previous number's owner was already on her phone. As it generally happens, her followers started to throw questions at her to see if she has done something wrong. She clarifies that she setup a new device and “it was not a second-hand SIM.” She claims that they weren't her messages, or groups that she was added to, and the messages were not restored from a backup. Currently, this seems to be an isolated case, but if there is a bug, this is a serious problem for the company which has been already hit by several privacy-related issues. is it possible to transfer whatsapp chat history from windows phone to an android device?